The world is full of music – but it turns out that the planet makes its own music as well. A “dawn chorus” (sometimes simply called a “chorus”) is a group of natural sounds caused by electromagnetic waves which are emitted from the Earth’s magnetosphere. The waves are audible to the human ear without sophisticated equipment; just a simple radio receiver will pick up the hauntingly beautiful natural sounds. The phenomenon has been well-known and documented for many years; dawn choruses have even been sampled in songs as some of the most beautiful sounds of the natural world. The name “dawn chorus” arose from the fact that these sounds are more easily heard in the early morning hours. 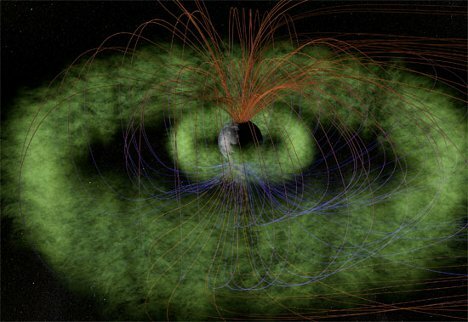 Solar winds coming into contact with the magnetosphere seem to be the cause of the naturally occurring music. See more in Earth & Nature or under Science. September, 2012.